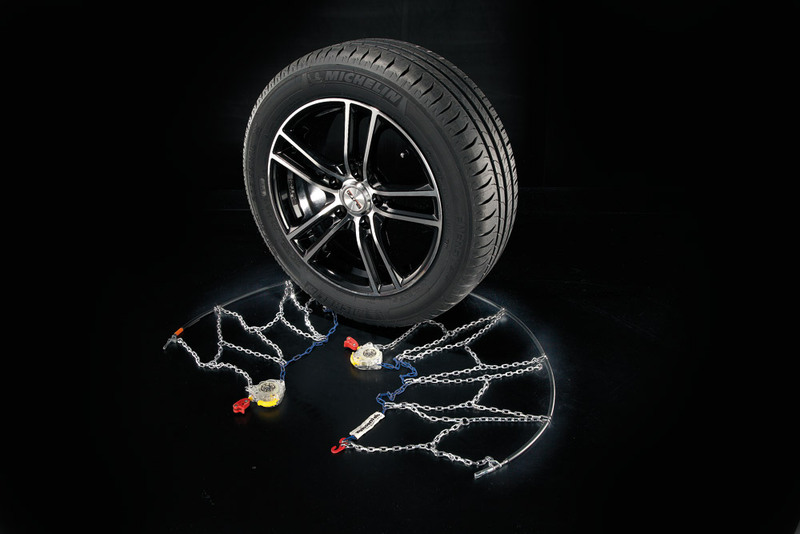 The 9 mm snowchain that self tensions as you drive! 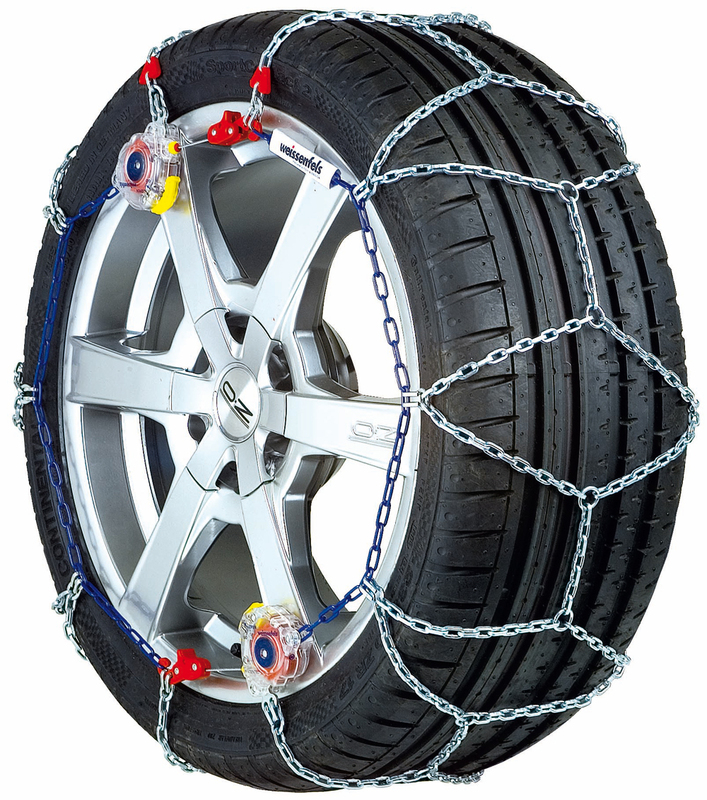 Weissenfels Clack and Go is one of the premier models in the Weissenfels snow chain range and really is the snow chain of choice. With most other types it is necessary, at least once, to stop the car and re-adjust the chains. Not so with the Clack and Go! 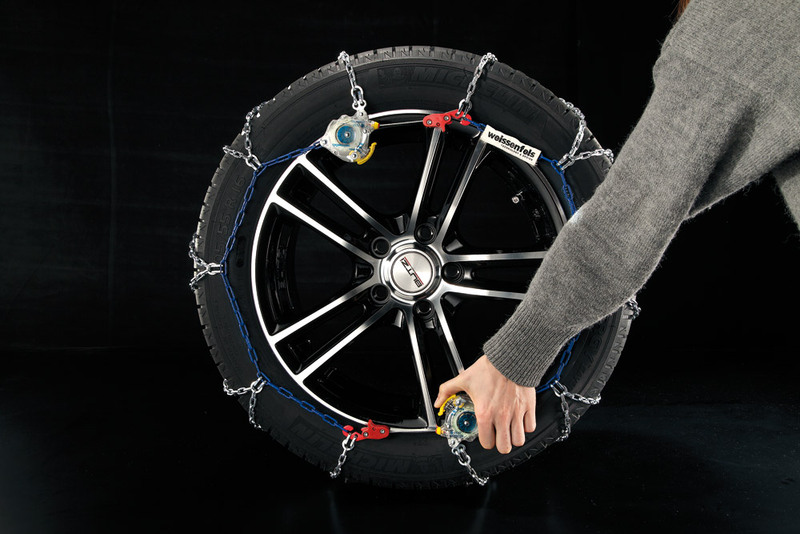 The unique Clack and Go automatic double tensioning and self-centering system makes it impossible for the chains to come loose. All parts are colour coded to enable quick and easy fitting. There is no risk of damage to wheels or tyres. Just simply arrange them around the tyre, connect the cable ends and release the Clack & Go tensioners, drive away and forget about them until it is time to take them off. 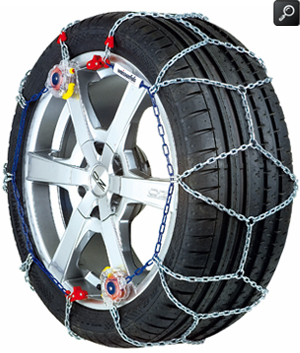 If you change your car and need a different size or type you can take advantage of our unique Weissenfels Clack and Go snow chain exchange service.